More than ever today's work environment requires a floor that is properly designed and properly installed. 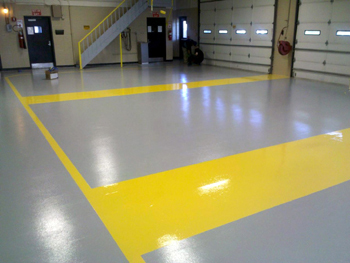 As one of the Northeast’s largest Industrial Flooring Contractors, Epoxy Surfaces by Roberge Painting Co. is a leader in the design, specification and installation of Commercial & Industrial Seamless Resinous Floors, and Epoxy Garage Floors. 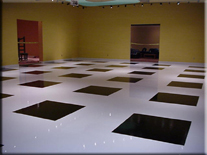 For over 30 years Roberge Painting has been helping companies avoid the cost of flooring failures. We work with some of the region’s top corporations and consistently meet their rigorous standards of design, craftsmanship and durability. Our aim is to ensure a clean, safe and attractive work environment for your company with minimal disruption to your workplace. Whether you need a floor that will hold up to high traffic, is chemical resistant, meets sanitary standards or is purely decorative, we can help. We have the experience, manpower and specialty equipment to get the job done right. All of our materials are the most environmentally-friendly available. From prep to clean-up, our protective coatings contain no contaminants that could endanger the safety of humans or the environment. Our epoxy floor systems are compliant with green practices and sustainability and meet or exceed LEEDs standards.